What is a chalazion? You may have a chalazion if you notice a small bump on your eyelid and have recently suffered from a stye. Rest assured, this condition is much less likely to be a problem than other eye infections. Most people are very concerned when they spot one of these pesky intruders, as it can cause quite the cosmetic blunder. Although they may look and feel big, they aren’t here for the long run. These chalazia seem to be like a stye, and often result from a stye, but they end up sticking around for longer and can often be difficult to fully treat. The good news is that chalazia often go away on their own, and they aren’t something to be too worried about. If you’re looking for ways to get it go away quicker, you’re not alone. Chalazia are very annoying, and they can be unsightly when you get dressed up and ready for your day. The eyes are the windows to the soul, but no one wants a person to see a bumpy soul! Have no fear, this chalazion is not going to last forever. The chalazion treatment that you can do usually gets rid of the problem very quickly. Plus, there are a few different ways you can get rid of these eye cysts. If you’ve woken up and found you have a chalazion on your eyelid, there’s no reason to panic. Thankfully, we have everything you need to know to about a chalazion and what you can do to get rid of it. A chalazion is a problem that none of us want, but you usually don’t just wake up one day with a chalazion. They are actually much more common to happen after you get something called a stye. Many people have had a stye before, so it should come as no surprise when you wake up one day and feel your eye is a bit sore. A lot of the time, we don’t get them as adults. But, they still happen. A stye is something that a lot of children end up getting in their eyes. It’s an infection that starts in the eyelash pores when they get clogged. These are really common, but most of them happen to young kids. However, styes can also happen to adults. A lot of times, you may not even realize that you have a stye. 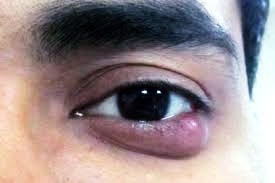 A stye can be on the outside of your eyelid or they can be internal. Chances are, if you have an internal stye, you probably won’t notice it right away. While it may be a bit painful, it’s not enough to cause much concern. Styes usually go away on their own, and you won’t have any lasting effects. So what causes a stye? Styes are usually caused by infection due to our eye and eyelid hygiene. You may be around a lot of dust or allergens in the air, you may not remove your makeup every night, or you may wear contact lenses that can also cause problems. Styes usually go away on their own, but you also might need to get some medicated drops to stop the infection in its tracks. Many styes are visible to the eye. Your eye will be swollen and red, and there is usually a white bump near your tear duct that informs you of the infection. Still, there are times where you may not notice you have had a stye at all. 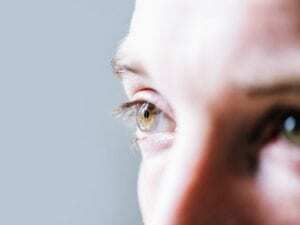 Your eye could get a small infection and then heal itself without your knowledge. When you wake up and find this large bump on your eye, it’s a fairly surprising thing! If the stye went away, what is going on with your eye? Well, styes can go away on their own, but it’s not always possible. But, if a stye doesn’t go away, it could turn into a chalazion. A chalazion is a healed internal stye that doesn’t hold infection anymore. It is caused by the sebum and leftover pus that may be caused from an infection. While a stye infection is often what causes a chalazion, it doesn’t mean that your eye can infect other people. Chalazia are not contagious, so you don’t have to worry about spreading them. They are caused by styes, which are caused from irritants and infections around you. You may be more prone to getting a stye during allergy season or if you work around dust, dirt, or other particles. Another thing that can cause a chalazion is blepharitis. Anyone who has inflammation in the eye will often experience more chalazia than others. Also, those who have a history of rosacea may also struggle with chalazia in their eye. 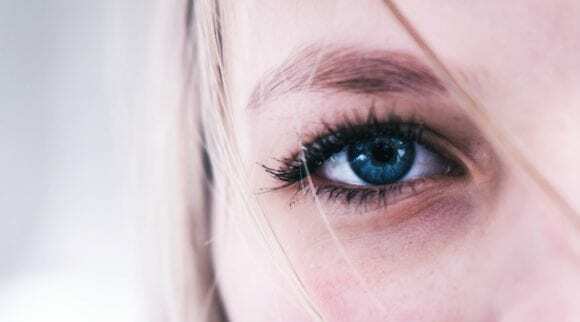 Rosacea often causes facial redness and swollen bumps underneath the skin, so these people are more likely to struggle with eye problems and chalazia. Rosacea can affect your eyelids and your eyes. Our eyes are made up of thin inner and outer membranes. Anything that causes more inflammation in our bodies can lead to these chalazion issues. If you have rosacea, it may be best to speak to a doctor if you have issues with chalazia developing. There may be something your doctor can prescribe to help cut down on these from developing. Last, but not least, certain microorganisms that live near our eyelash roots and are usually harmless can cause some inflammation around our eyes. When we don’t remove our makeup, or especially when we share makeup with others, these microorganisms cause more inflammation, which leads to a stye or chalazion. That’s why eye hygiene is so important. We don’t want any infection festering in our eyes for these chalazia to develop! Related: What Causes A Stye? What Does a Chalazion Look Like? If you aren’t sure whether you have a chalazion or a stye, they look fairly different. 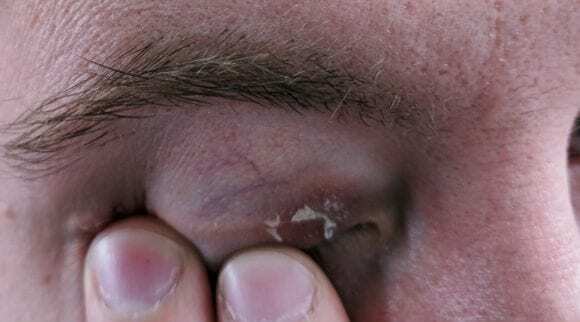 A stye usually looks like a small, white bump near your eyelash. 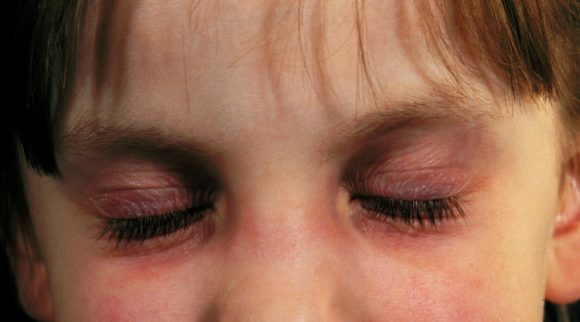 Your eye may be red, swollen, and very painful to the touch. A chalazion, on the other hand, shouldn’t be painful. It is a bump that can be small or large. There is usually just one of them, and they are usually within one of the meibomian glands of your eyelid. The bump is usually very easy to see as it can cause some swelling. It may be on the top of the bottom of your lid, and usually, they are quite red because they are stretching your skin. Occasionally, you can see the white head of a chalazion, but this isn’t incredibly common. What Does the Eye Cyst Feel Like? The good thing about a chalazion versus a stye is that they are not usually painful. You won’t usually suffer from pain, but you will have a large bump. The bump may become more painful as it grows because it can cause eye swelling. When you feel the cyst on the outside of your eye, it will be hard and round. That’s because the chalazion is an eye cyst that is filled with fatty secretions and pus. 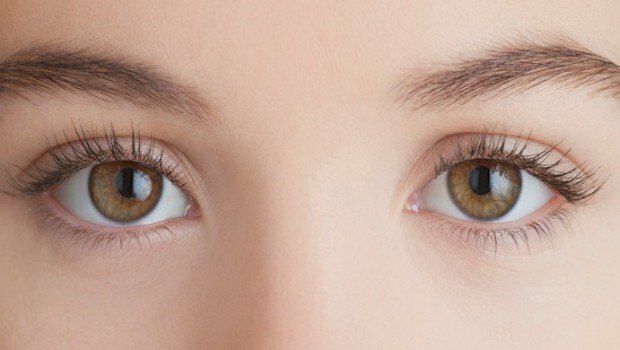 Usually, these secretions help to lubricate your eyes, which is very important! But, sometimes your tear ducts get blocked. A lot of times, people will self-diagnose their chalazion. Since they don’t usually cause immediate medical attention, many try to get rid of the chalazia at home before going to a doctor. If you think you have a chalazion, look at the bump in your eye. If it is right near your eye, painful, red, and a white dot is shown, you could have a stye. But if the bump isn’t painful, it’s red and swollen, and the inside is white, then you probably do have an eye cyst or chalazion. And while it may be gross to think about, these eye cysts are practically harmless! 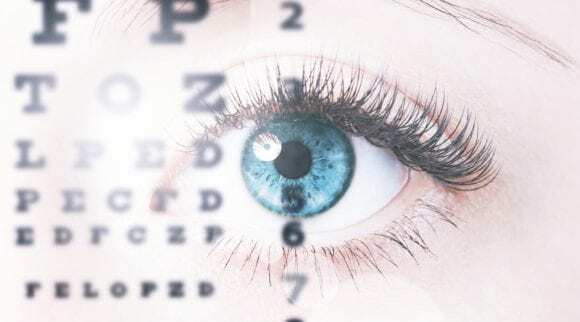 One of the things they can do is cause blurry vision or astigmatism. This is because they put pressure on the eye as they grow. Many chalazia start off so small that you often don’t notice them. With time, they grow and become a nuisance. However, a lot of chalazia will resolve on their own and can be treated with home remedies. If you’ve never had a chalazion before, it can be a bit overwhelming. It’s so easy to see that a lot of people immediately think there is something wrong with their eye. People have even believed that chalazia are tumors! Thankfully, if you have a chalazion, it is just a benign eye cyst. That being said, there are a lot of treatment options out there for you to try. Some of them can be done at home, and others will need the help of a doctor. Try the home remedies first because most of the time, they work very well and can get rid of the problem. One thing you can do to help your chalazion is to try a hot compress on your eye a few times a day. This is one of the easiest and most effective things you can do to get rid of an eye cyst. When you develop an eye cyst, your eyelid glands are clogged with old sebum and fatty secretions. This can lead to the chalazion being full of pus as well. A hot compress can help to break down those fatty secretions so that your eye can effectively drain them. While hot compresses are often given as advice for styes, they can help with a chalazia as well. To make a hot compress, run water until it is hot. You can also microwave water for 30 seconds to get it warm enough to be effective. Then, dip the towel or pour water onto the towel so that it is saturated and some steam is coming off of it. You’ll want to hold this towel up to your eye and use it for ten to fifteen minutes. This is enough time that some of the fatty secretions will break up and drain. A warm compress should be used three to four times a day until the chalazion goes away completely. Sound like a ton of work? We recommend puchasing the Heyedrate Warm Compress Mask, because it’s super simple to use. All you have to do is put it in the microwave for 20 seconds and you’ll be ready to use it. Another thing you can do is help the oils to break up by gently massaging the chalazion. With one or two clean fingers, gently massage the cyst. You never want to push hard because you are dealing with the fragile eye, but you do want to give some pressure so that the oils can break up. You can massage you eye as many times as you do a warm compress, and it’s especially effective if you do it right after the warm compress when the oils aren’t so hard. These treatments can be done at home, which is why a lot of people start with compresses and massages. However, they don’t take away all chalazia. 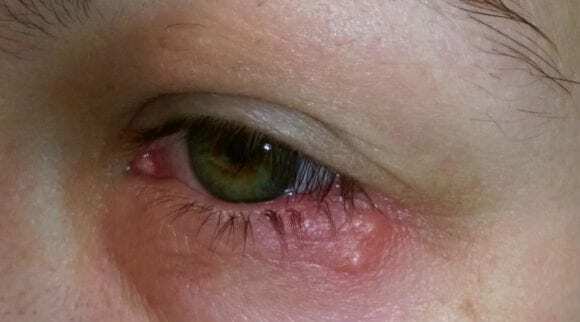 There are times when a chalazion will not go away on its own, and when this happens, it’s important to seek out a doctor for help. A doctor can help to diagnose your chalazion. They will look at it and see whether or not it can be classified as an eye cyst. If it is an eye cyst, your doctor will ask you a few questions about your life and your past medical history. There are some people that tend to get chalazia more often. Whether you have dry eyes, work in an environment with a lot of dust and particles, or tend to sleep with makeup on, you could get styes and chalazia more often than the average person. The doctor may recommend that you start with warm compresses, massage, and washing your face every night. But if these things do not help, you doctor can prescribe antibiotics that will help with an infection. However, antibiotics aren’t always the best routes because chalazia usually are not infected. Styes are often an infection, and antibiotics can prevent styes from getting worse and turning into chalazia. The biggest concern about a chalazion is that it is cosmetically unappealing. Most people want to get rid of their chalazion as quickly as possible, so doctors do keep that in mind. If there is a lot of swelling to the chalazion, then doctors will try to repair that by giving a steroid shot of cortisone. This will help the swelling to go down, which will help it not be so cosmetically unappealing. That being said, it will not take away the actual chalazion itself. The warm compresses may help in addition to the steroid shot. The final, and most invasive, option would be to get the chalazion removed. This involves surgery and is often the last resort because it is not a fun process and there are always risks when surgery happens. But, if your chalazia will not go away on their own, it may need the surgical removal. 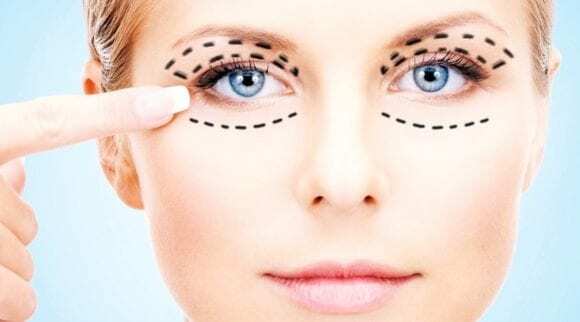 What happens during the surgery is that the doctor will give your eye some local anesthetic. Thankfully, you won’t feel anything else after this shot. Once the eye is sufficiently numb, the doctor will use clamps to turn the eyelid inside out so that he or she can see the chalazion up close. 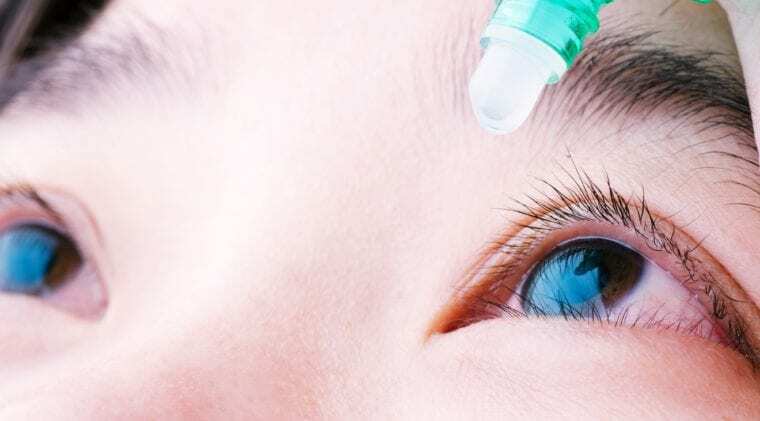 Some doctors will inject some saline into the eyelid, which better protects they eye when they cut into the chalazion. After that, the chalazion is removed. The doctor will make an incision and remove the pus and fatty secretions that are in the eye cyst. This chalazion treatment doesn’t usually have any harmful side effects. After they squeeze out the chalazion’s pus and fatty secretions, the doctor will cauterize the open wound so that nothing else can get into it while it is vulnerable. The process is usually over in about thirty minutes, and you will be able to leave the office shortly after. However, your vision may be blurry, and you could have potential swelling and soreness for the next few days. Chalazion treatment success will depend on the person. Some people have incredible results with just using warm compresses and massage, but others may not see any improvement at all with this route. Sometimes, chalazia come back after getting treatment. This is because your eye glands are more susceptible once they have dealt with chalazia before. If that’s the case, your doctor may have to prescribe you something to help with the inflammatory condition that chalazia causes. Many people choose to get surgery because it is quick and removes all of the chalazion without leaving behind any excess. However, all surgery comes with risks and shouldn’t be taken lightly. This is, obviously, the only fail proof way to get rid of the chalazia. That doesn’t mean that it won’t come back, though. Surgical removal still runs the chance of the chalazion coming back or filling up again. Sometimes even more so since there is a hole left behind from the removal. The goal of chalazion treatment is to make the chalazion go away, but it doesn’t help if they just come back even larger the next time. You need to take the steps to prevent them from happening again. When you do get a chalazion removed from your eye, you need to be vigilant so you don’t get another one. The first step is avoidance. If you work in an area with a lot of dust or particles, you should try to find some protective eyewear. This can help foreign objects from getting into your eye, and keep your eyes free from infection. If you do think you get something in your eye, make sure you rinse your eyes out with a good eye wash. If you wear contacts, make sure you take them out every night. Keeping contacts in and not properly cleaning them can lead to eye infections that could develop into chalazia if left untreated. Eye hygiene is really important to keep an eye cyst from developing. Use a high-quality contact lens solution for your contacts every night, such as ClearCare. When it’s time to change the contacts to a new pair, don’t forget. Old contacts can harbor harmful bacteria that can cause chalazia or worse. Another thing to keep in mind is that you need to remove your makeup every night. Some women sleep with makeup on, which is very bad for your eye health. If you keep your eye makeup on and sleep with it, you’re inviting that foreign material to come into your eye and cause an infection. It can also irritate your eyes and cause a stye to happen in that way. You should use an oil-based eye makeup remover, like the Heyedrate Makeup Remover with Tea Tree Oil, and then a mild face wash every night to get rid of the makeup. Take special care around your eyes and make sure that it is all removed. Leftover makeup is notorious for causing infection. Women who wear makeup may not think about this, but it’s also very important to switch out your makeup on a regular basis. If you are notorious for keeping a mascara for a year or longer, you are at risk of developing styes. Every time you open makeup, there is an expiration date listed on the bottle. Look for the expiration date and make sure you note when you open it, so you know when to throw it away. Eye makeup usually expires in three or six months, and liquid makeup should be replaced every three months. It’s important to remember to not share makeup with other people as well. This is especially true for eye makeup. 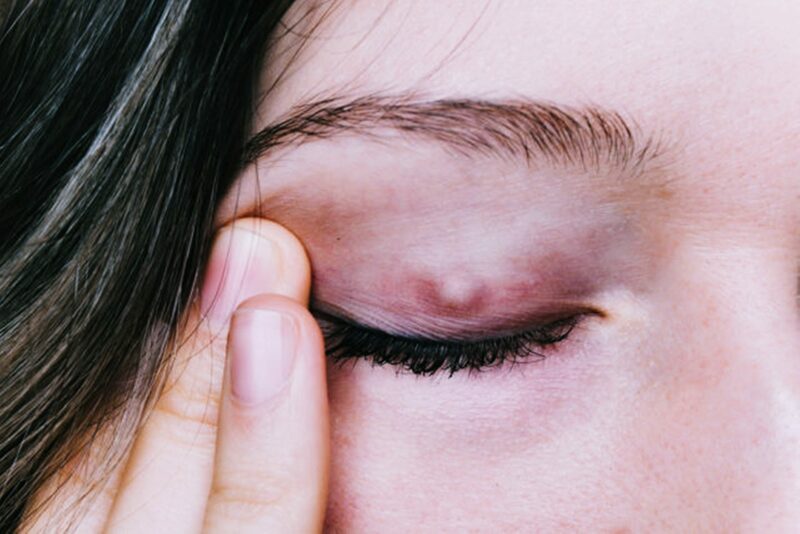 If someone has a stye and uses your makeup, you can contact an eye cyst from them, which then may develop into a chalazion. Keeping good eye hygiene can make it so that you don’t have infection in the eye that could lead to a chalazion . 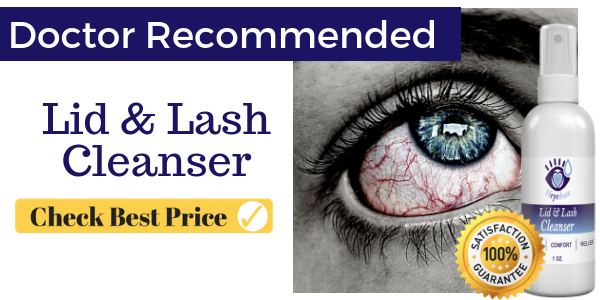 For regular eyelid hygiene, we recommend the Heyedrate Lid and Lash Cleanser, which is a hypochlorous acid cleanser. This is a natural way to remove contaminants, and we recommend cleansing the eyelids with it twice daily. Click here to purchase the Heyedrate Lid and Lash Cleanser. For those with medical diagnoses that make them more at risk for developing a chalazion , talk to your doctor about preventive measures. There may be some things you can do to prevent a chalazion from developing from the start, so you don’t have to deal with these pesky things! 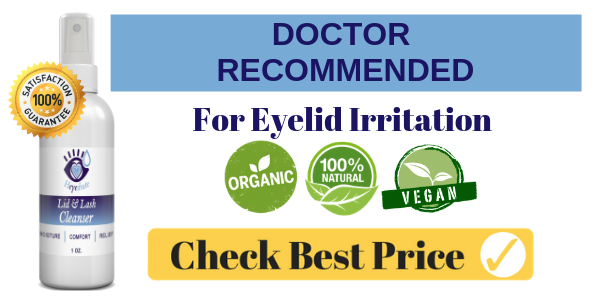 When you develop an eye cyst, it’s tempting to take the chalazion treatment into your own hands. 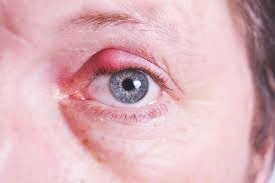 While it is great to use warm compresses and massage, some people get the idea to pop their chalazion. Not only will this not work, but you run the risk of damaging your eye and spreading the issue to other areas. You should never try to open or pop a chalazion or stye without the help of a doctor. These cysts need to be cut open, and the eye is a very delicate area. One wrong move and you could lose your eyesight and damage the eye for good. This is a very serious problem that could go very wrong in a short amount of time. Also, while you are dealing with a chalazion, it’s best to not wear makeup or contact lenses. Putting makeup on your eyes could make the infection worse, and putting in your contact lenses could be painful. Sometimes, chalazia cause minor astigmatism. If you try to wear your contact lenses, they may not work. It could alter your prescription and eyesight, which would only lead to further hurt for you. While you do chalazion treatment, keep this in mind! When you see a chalazion develop overnight, it can be a scary thing. They look much worse than they are. These eye cysts are completely harmless and won’t cause further problems most of the time. And while styes are more painful, chalazia are more unsightly. The worst thing about having a chalazion is that they are cosmetically unappealing. They can cause really bad swelling and make your eye look much different than normal. Most chalazia will go away on their own without much interference. While hot compresses and massage can help them go away sooner, chalazia aren’t usually much cause for concern. There are the rare cases of chalazia that do not go away on their own, and you may need surgery to remove it. The first thing you should do when a chalazion develops is to try out the home remedies. Since they aren’t dangerous to your health, there’s no reason that you need to rush and see your doctor. It may go away in a few days, and the home remedies can help the chalazion not to be painful or get too swollen. However, if you are trying the home remedies, and they don’t seem to be working, it’s important to see your doctor. This is especially true if you wear contact lenses or you want to wear makeup on your eyes. Since these two things should be avoided while going through chalazion treatment, you may want to see a doctor sooner than later. A chalazion is not the end of the world, and it’s a lot more common than you would think. The majority of people will deal with a chalazion at some point in their life, so don’t be afraid if you wake up with one. Before you know it, you’ll be kissing that chalazion goodbye!